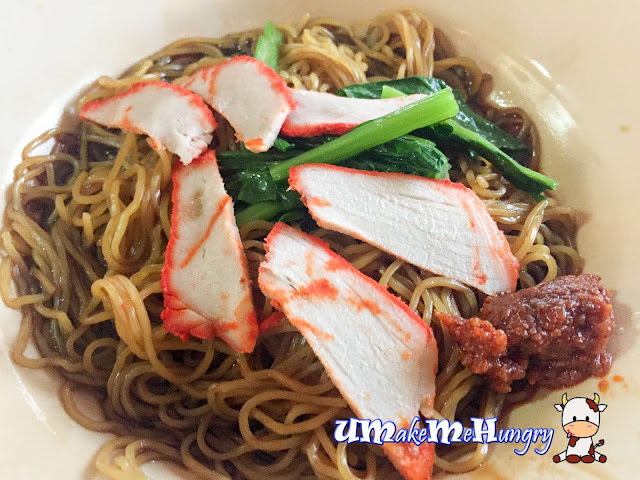 Du Du Cooked Food has been in operations more than 20 years and this stall is special in the sense that in the day time you will get to see them selling Wanton Mee while during the night you will see a man manning the stall selling just only Du Du Kueh. This practice has been there throughout the years and both business has been seen reasonably good. 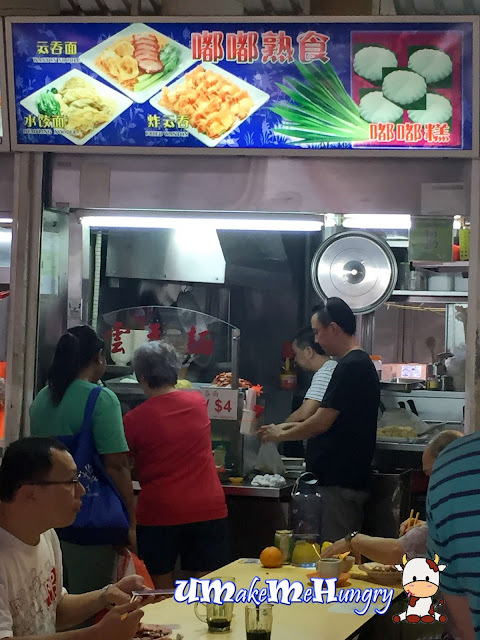 Wanton Mee from this stall is my childhood favouite and always seen with a long queue. Having increasing competitors operating in the same Hawker Centre over these years, even though they may not be the outstanding ones, the style of Wanton Mee can be distinctively differentiated from the rest. I love the fact that the noodles were all consistently drench in the midst of the dark sauce. The style of Char Siew rekindle the memories I had during school days where canteen stalls were instructed to reduce oil and fat, thus you can almost see none of the fats in the char Siew pieces. Instead of having roasted Char Siew, the slices were steamed ans sliced to thin pieces with chewy texture. 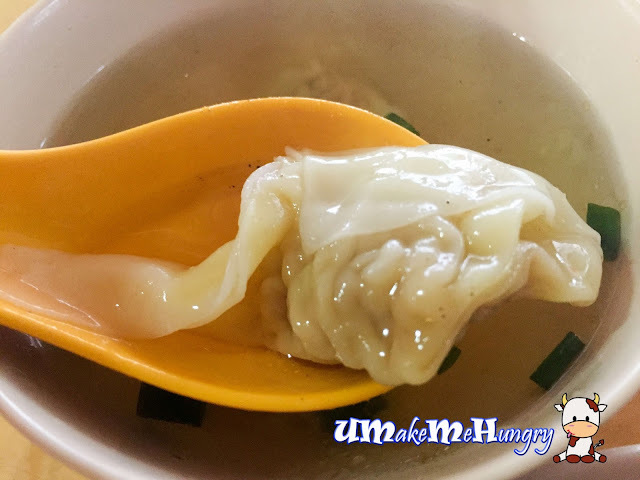 Wanton may be ordinary but the soup gave hints of soy beans. 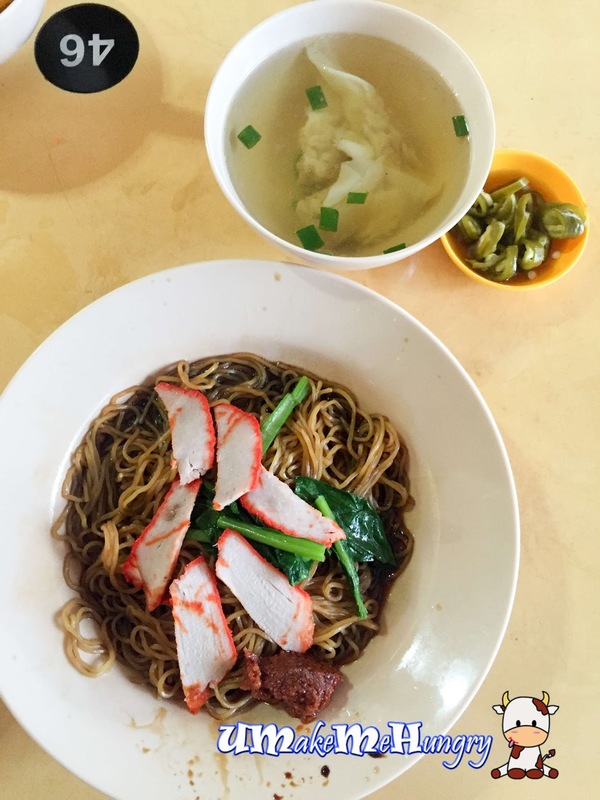 Overall, it makes a very simple breakfast and don't forget to patronize their Du Du Kueh in the evening.